Checking Account Promotions can help put money back into your pocket simply be knowing about them and taking advantage of them. Here we will list the Checking Account Promotions that we know of. Some of these promotions will be nationwide which means you can take advantage of them and some will be for local markets. This list will be updated as we find promotions that are better than the ones we have listed. We can also use your help. Click here if you know of a checking account promotion we can let the world know about. Checking Account Promotions are not always just cash offers. We have seen banks give away iPods, Camcorders, GPS Units, Bonus Miles, Special Banking Offers and more. So do not get down if a $100 bill doesn’t get you excited. Banks are consistently offering specials to hopefully earn your business. If you are sick of your bank, need to open a new account or just want to take advantage of some free offers than check back here regularly for all the Checking Account Promotions. Most Checking Account Promotions are temporary so be sure to check with the financial institution offering the promotion for more details. PerkStreet FinancialSM Deposit Account – Get 2% cash back by using your Debit Card on any transaction. Free Flip Camcorder with First Bank – Sign up for a checking and savings account with first bank and you can get yourself a free flip camcorder. PerkStreet Financial – Free checking account that gives back rewards for every time you use your debit card. The Bank of Greene County is offering a Free iPod Touch – Easy two step process to qualify for this promotion. After you sign up it is just two simply steps to claim your free iPod Touch. This promotion ends September 30th, 2010 so hurry to take advantage of this offer. Free iPod Touch at Bank of the West – Sign up for a new checking account and either set up a recurring monthly direct deposit of no less than $500, pay 10 Online Bills or make 20 Debit Card Transactions. The 20 debit card transactions are definitely the way to go. The free checking account requires a minimum deposit of $100, then just buy 20 $1 cheeseburgers and the iPod Touch is yours. This is a great checking account promotion that has a nice reward and not to difficult to qualify for. Earn up to $250 with M&T Bank: Earn $250, $200 or $125 depending on the checking account that is right for you. Add overdraft protection and web bill pay to maximize earnings. 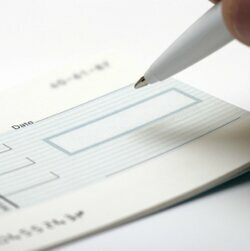 If you are in need of a new bank check out the details of these checking account promotions. $100 Bonus with Chase Bank: This checking account special is easy to qualify for and comes with a nationwide bank. Chase has more than 15,000 ATM’s nationwide. Simply complete 5 debit card transactions or set up direct deposit and you are set to receive a $100 credit into your account. $100 Dollar Checking Account Bonus with PNC Bank: With a $400 initial deposit and meeting a few account requirements PNC Bank will make a deposit of $100 directly into your account after the allotted time. The requirements to earn this cash back are easier then what is normally required for bonuses. Get Free Bonus Miles with Bank of America: Sign up for B of A’s bonus debit card and receive 3000 bonus miles. The bonus miles will be rewarded after your first purchase. There is a $30 annual fee, but you will continue to earn 1 mile for every $2 spent. Remember though… this is a debit card, not a credit card. TD Bank Giving Away Free Flip Camcorder: If you a gadgets person than TD Banks Flip Camcorder give away is the perfect promotion for you. There are a few simple requirements to meet and the Flip is yours. Visit the link to get more details. Free iPod Shuffle with American Community Bank: Get a free iPod Shuffle with a new checking account. If you do not want all the bells and whistles you can sign up for a regular checking account and still get free gifts. $125 with Banco Popular Bank, Plus a Free Snack Backpack – Banco Popular is offering $125 for customers opening new checking accounts. You must complete three requirements to get each portion of the $125. They are also throwing in a new Snack Backpack (I have no idea what a snack backpack is, but you get it for free so…). If you know of any great Checking Account Specials or Promotions please let us know in the comments.